This painting is now available as a Floor Puzzle! Box size: 12 1/4 x 7 x 2 5/8 in. This is a 305 piece artisanal wooden jigsaw puzzle showcasing Dany Paragouteva's painting, "Magic Carpet." Designed by Jef Bambas, this puzzle features an irregular edge, Arabian-inspired split tendril connector pieces, and a smattering of themed whimsies. This puzzle is one magic ride! 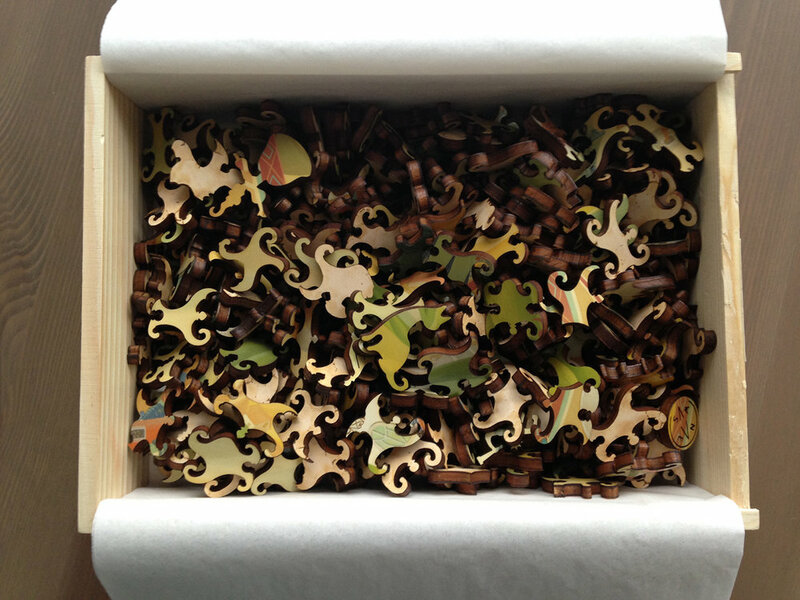 The puzzle is laser-cut from 1/4" thick wood. Packaged in standard pine wood box. Made in USA (specifically, in Menlo Park, just south of San Francisco).